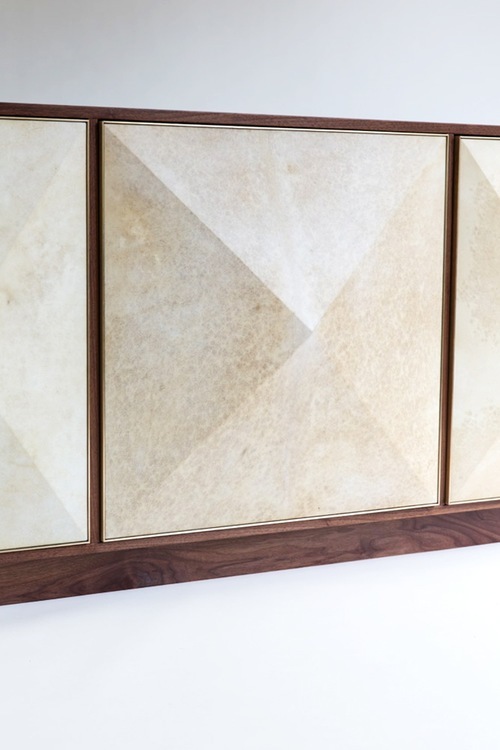 The Pyramid Sideboard makes a statement in any room with its 3-dimensional doors and exquisite blend of natural materials. The recessed base gives the piece an ethereal appearance, as if it were floating. Each door is hand-wrapped in goatskin parchment and framed subtly in brass to create a polished, luxurious look. The outer doors of the sideboard are slightly recessed to strike a visually pleasing balance.